The snacks giant said it is focusing on new media partnerships as part of its "fearless marketing" model. Mondelez International is partnering with BuzzFeed as part of new branded content strategy after claiming interruptive advertising is "becoming irrelevant." The snacks giant said it is focusing on new media partnerships as part of its "fearless marketing" model, in which it will buy, develop and distribute content to build brands and generate revenue. Mondelez says its goal is for up to 10% of its global media investments to break even or turn a profit by 2020 and plans to create more native advertising, smartphone games and live events. "Capturing audience attention is more difficult than ever," said Laura Henderson, the global head of content and media monetisation at Mondelez International. "As audiences become more empowered to control their viewing experience, the old model of interruptive advertising is rapidly becoming irrelevant. "This new approach will hold us to a higher standard of creating content that earns attention and is good enough to make money. "By developing content that people want to watch, we can begin to monetise our investments, offsetting costs, improving return on investment and making our media spending more sustainable." As part of the new model, Mondelez is partnering with BuzzFeed, which will build content for the company’s global portfolio of brands. BuzzFeed will continue work already featured on platforms such as Tasty, which features food and recipe content, as well as new content for the well-being area. According to Lee Brown, the global chief revenue officer at BuzzFeed, "As the media industry continues to evolve, BuzzFeed is evolving right alongside it. Partnering with Mondelez International allows us to combine our strengths in native advertising and develop content that resonates with our global audiences at scale." 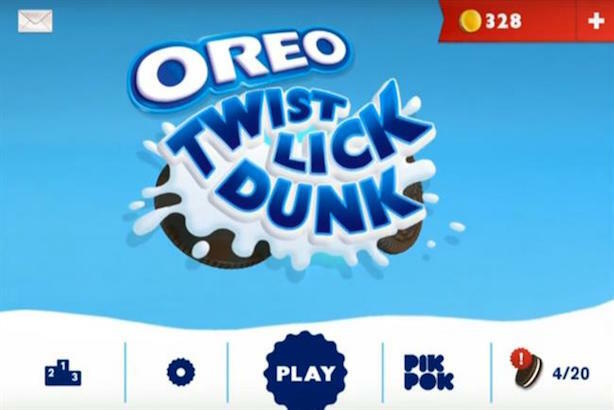 Mondelez has also agreed separate deals with Mobile Game Suite, which will launch a mobile called Sour Patch Kids within the next 18 months, following the Oreo Twist Lick Dunk game, which was launched in 2012. Separately, the company’s Stride Gum brand will debut a live event called Heaven Sent in the US, in which professional skydiver Luke Aikins will jump from a plane with nothing but the clothes on his back. "Make no mistake about it, this is the future of how brands and advertisers will connect with consumers and drive real growth," said Bonin Bough, chief media and ecommerce officer at Mondelez International. "More importantly, this is how brands can continue to help elevate the ecosystem for all of their partners from broadcasters to publishers. This is a different model that is in service of the entire industry."